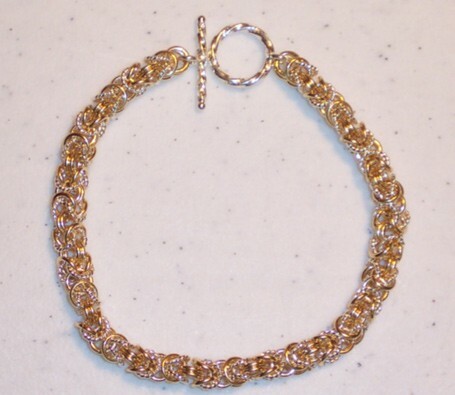 The Byzantine with a Twist Bracelet is the traditional byzantine weave with the added interest of twisted jump rings. These rings are added intermittently throughout the length of the chain, adding sparkle and shine to the bracelet. It is a beginner project. The clasp is not included in the kit.